Craig Ballantyne is my boss and the rumors you hear about him are true. I’ve worked for Craig for almost three years now and I’ve heard different people all say this. He rarely diverges from his plans and rules. Annoying, right? You wanted something more. I read an article this morning called, “Don’t Overplan Your Career.” The antithesis of what Craig Ballantyne and ETR are all about. The author goes on to give examples of how he’s seen his peers make total 180’s in their careers, completely diverging from “the plan.” Therefore, trying to plan your career 5-10 years in advance is a mistake. The author also acknowledges that his stance is contrarian. It’s contrarian because most people know this is bad advice. What you see on the surface (people’s career moves) are only a small percent of what’s really going on below the surface (mindset, motivation, sacrifice, etc.). And planning plays a big role in affecting what’s below the surface. Without planning, these life-changing career moves you see people make probably wouldn’t happen. One of the perks of working for an influencer like Craig is I get to see who Craig follows and what blogs he reads. One blog Craig likes is Study Hacks by Cal Newport. Cal Newport is a big believer in planning his days, weeks, and career. But Cal doesn’t plan because he expects to follow those plans to a T, he plans for a different reason. The best coaches tell their players to trust the process — and the process is why Cal plans. 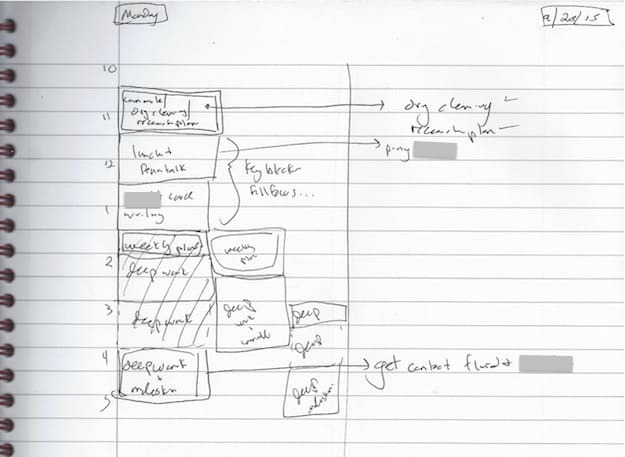 I like the simplicity of this planning method (outlined here). I plan my days like this now, and I’ve noticed big improvements in my life. Here’s how it works: On the margins of your page list the hours in your workday (i.e. 9 a.m., 10 a.m., etc. ), then simply block off time for specific tasks. If something comes up, you adjust (those are the arrows). That’s it. No apps or special notebooks required. Just a lined piece of paper and a pen. There is, however, a pitfall with this productivity strategy that I stumble into time and again: it’s easy to start associating “success” for your day with accomplishing your plan exactly as first envisioned, and to label any other outcome as a “failure” — a belief that triggers near constant frustration for most jobs. 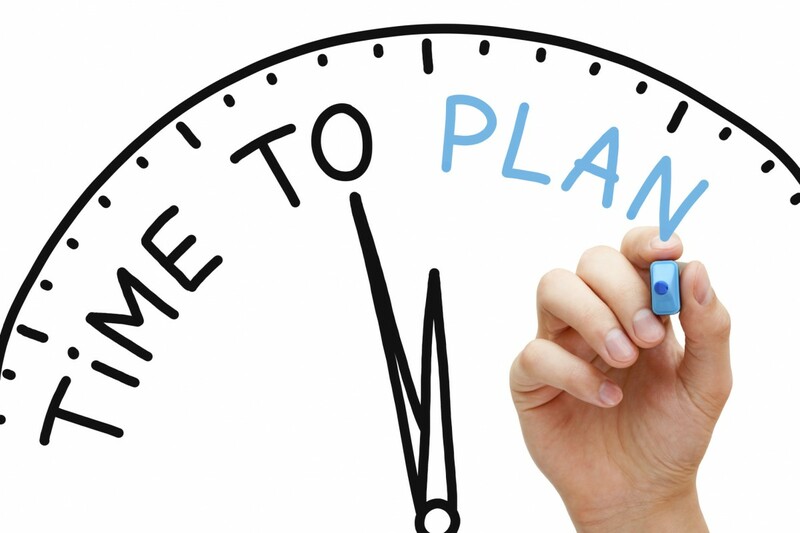 The reality of daily scale productivity is that plans are not meant to be preserved. They’re instead meant as a device for ensuring that you tackle your day with deliberation. The hard part about planning is sticking to the process. What we’ve found at ETR that helps us stick to our processes is setting rules. Craig explains why this is true and how to start creating rules for your life in his new book The Perfect Day Formula. If you haven’t read it yet, do yourself and your career a favor, and grab a copy today.